superinktoner has no other items for sale. 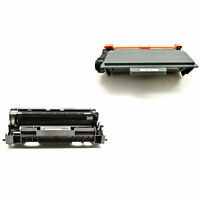 M3027 MFP, M3027x MFP,M3035 MFP, M3035xs MFP,P3005, P3005d, P3005dn, P3005n, P3005x. HP LaserJet Printer. Shelf Life : 1 Year. Page Yield: 6,500 pages at 5% Coverage (A4 paper.). Color: Black. Multiple Quantity & Related Item. GOOD PRODUCT.SAVED ALOT OF MONEY BUYING HERE.